﻿ Einstein black-box electromagnetic fields and light. Below are two good English translation extracts from Einstein's 1912 lecture manuscript on his Special Theory of Relativity, giving some of his then black-box thinking on 'multiple continuum ethers' to explain how electromagnetic forcefields might work with a spacetime gravity continuum but not necessarily to be taken as correct explanation. Einstein here also seems to require that his spacetime gravity continuum must work by some form of unexplainable magic, and gives one of his various definitions of the principle of the constancy of the velocity of light, not specifically including constancy relative to moving observers. -- Pictured here is the dubious rubber-sheet analogy of a bit of Einstein's spacetime continuum near a single gravity source. How could it really work, and how could the theory really work at all for common multiple gravity source situations like a solar system ? A bit of black-box Einstein. Albert Einstein, 1912 Manuscript on the Special Theory of Relativity. "Lorentz conceives of electricity as being bound to corpuscles of molecular dimensions (electrons in the broader sense), a conception whose validity is hardly doubted today. But complications are thereby created for the theory, in that one is dealing here with field quantities that vary rapidly with location and that are to be replaced, then, by suitable mean values. One can avoid these complications without doing any essential damage if one proceeds in the following way. According to the picture that Lorentz's conception gives, we have to conceive an electrically polarizable body in the following way. In every unit volume of a body in an electrically neutral state there are present at least two approximately evenly distributed kinds of electrons of zero total charge. But these are not freely movable; instead, they are linked to matter by elastic forces (in the simplest case). An electric field displaces the positive and negative electrons from their equilibrium position by means of oppositely directed forces. In this process, the electromagnetic field varies extremely rapidly with location. We avoid this by conceiving of the positive as well as the negative electrons of the same kind as being combined into continua. In the simplest case, we have to picture an inertia-free electrical continuum of positive density and, in the case of an electrically unexcited body, one of equally great negative density, linked elastically to the matter. If we also wish to represent the conductivity of the body, we introduce, in addition, two further electrically opposite density-continua that can move relative to the body by overcoming a kind of friction. There is nothing strange in the introduction of several continua at the same location if one realizes that this is only an idealization aimed at avoiding mathematical complications." There exists a coordinate system with respect to which every light ray propagates in vacuum with the velocity c.
This principle contains a far-reaching assertion. It asserts that the propagation velocity of light depends neither on the state of motion of the light source nor on the states of motion of the bodies surrounding the propagation space." ".... evaluating the time of events by stationing an observer with a clock at the origin of the coordinates, who assignes to an event to be evaluated the corresponding position of the hands of the clock when a light signal from that event reaches him through empty space." Bodies tell Einstein's continuum how to curve, and the continuum tells bodies how to move. 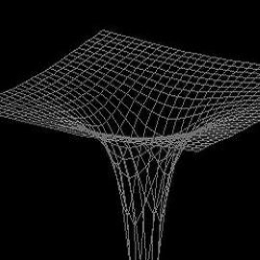 In Einstein's general relativity bodies impose curves on his time-space-gravity continuum, and the continuum imposes motion on bodies. Although push-physics analogies are often used to 'explain' this, the theory does not involve any push-physics mechanism and indeed does not specify any clear mechanism for this. Gravitational forces of any kind are completely abolished as controlling the motion of planets or other bodies, and somehow space-curves do this - logically by pushings but seemingly without having any push properties since the continuum is non-material ? As you can read in our 'Einstein's Continuum' section, Einstein concluded that "The ether of the general theory of relativity is a medium which is itself devoid of all mechanical and kinematical qualities, but helps to determine mechanical (and electromagnetic) events." This seems to leave his continuum(s) as more information entities like Gilbert's signal effluvia. But if this leaves the improved maths of Einstein's theory with an unrealistic explanation, then his theory must be basically taken (as Newton wanted his theory taken) as a blackbox theory with real explanation unknown. Of course it is a general failing of modern physics theories, supposed to replace part or all of Newton's theory, that they are not written as his Principia or even as its chief parts for comparability - but are instead written in ad hoc manner often in brief articles chiefly with reference only to black holes, wormholes or other exotic claimed phenomena.